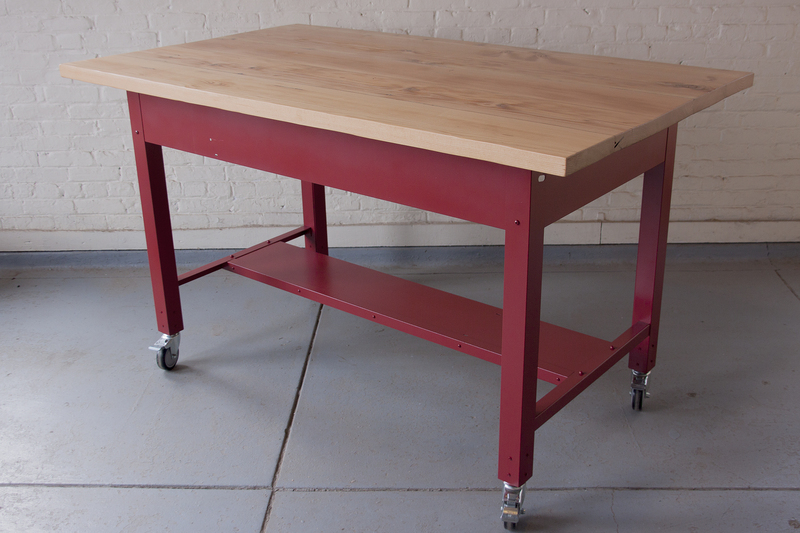 We made this industrial style work table for two photographers to use in their shared studio space. They wanted something that provided them the flexibility to use as a desk, a photographer’s work table, or a conference table for client meetings. 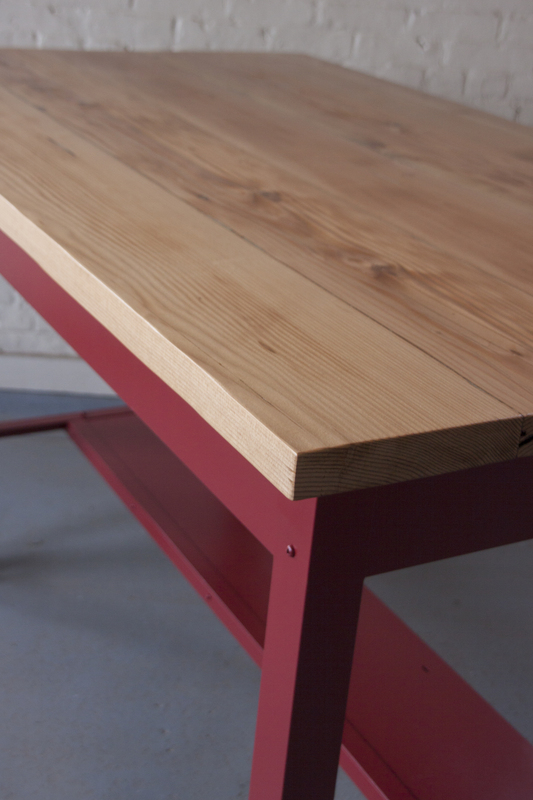 The desk was constructed from an vintage metal drafting table base painted a bright red, and a salvaged Douglas Fir plank custom tabletop. 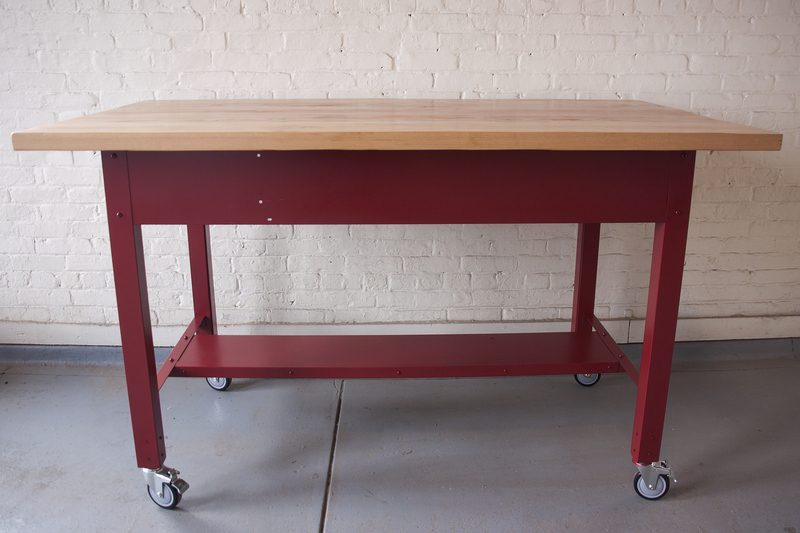 We added locking casters to allow them to easily move the table to suit their needs. If you want to spend an afternoon (or two) immersed in some beautiful wedding and family photography, please visit the websites of these two very talented photographers!